Nepal Blindness Survey conducted in 1981 revealed that 0.84% of the Nepali populations are blind and 1.7 % has unilateral blindness. Besides, 90% of the blinds reside in rural areas, therefore, blindness is really a serious public health imposing a social as well as economic burden to our country. In order to reduce the global burden of blindness, the World Health Organization (WHO) and a broad coalition of international, non-governmental and private organizations launched, a global initiative Vision 2020: The Right to Sight, in Geneva on 18th February 1999. 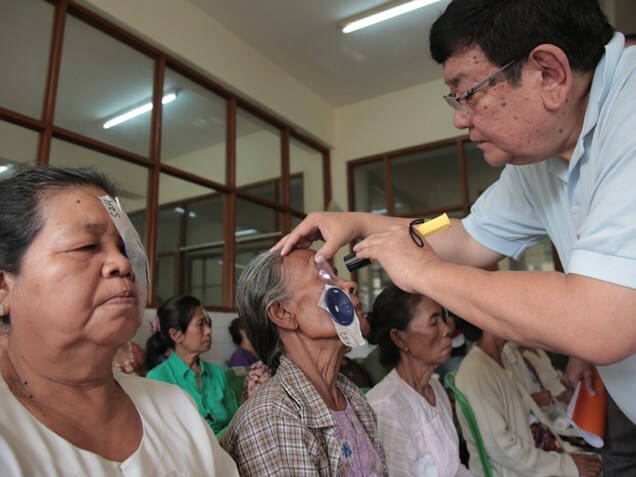 Similarly, the South East Asia Region (SEARO) declared on 30th September 1999 for member countries to come forward with strategies and guidelines for the elimination of avoidable blindness from the region by 2020.
based, non-government organization with an aim of to act as a model for treatment research and training, independent of but in mutual co-operation with all other eye care centres and organization in Nepal. Tilganga Institute of Ophthalmology was established in 1994 as a new development, to fight and prevent and treat curable blindness. It was intended that Tilganga should act as a centre for treatment, research and training, independent of, but in cooperation with, all other eye treatment centre and organizations. The current TIO facility was opened in 2009. The strategy of TIO for blindness prevention and treatment of ocular problems is "Comprehensive care and support programs with individuals, families, and communities", which includes Medical and Surgical treatment facilities, Outreach Micro Surgical Eye Clinics(OMEC), Eye Banking and Corneal disorder treatment, production of cost-effective Intraocular lenses, Qualitative and Quantitative Research in ocular problems and conducting training programs in diverse fields of eye health which includes strengthening and transferring knowledge and skills of surgeons, health workers as well as other communities people who involve in eye health directly and indirectly as key community members. This institute has been working all these above-mentioned areas with very competent way throughout Nepal. Academic and Training is one of the major activities of the institute which is dedicated to empowering different level of human resources in eye health aimed to prevent and avoid possible blindness. TIO provide modern medical and surgical techniques in almost subspecialties of eye care. Over a year Surgi-center serves more than 650 outpatients on an average working day and about 60 surgical procedures. Nepal Eye Bank collects more than 600 corneal tissues every year. Prof. Sanduk Ruit is an Executive Director of TIlganga Institute of Ophthalmology and Dr Reeta Gurung is Chief Executive Officer. One of the key aspects of TIO's mission is to generate the human resource for eye care so it will help to full fill large gap between demand and availability of eye health care workers. Tilganga Institute of Ophthalmology is in developing human resources for blindness prevention and providing training to eye care professionals from all over the world. Training and education are recognized as key factors that influence the reach, range and quality of eye health service delivery. TIO strives to provide the highest quality of training and education through a committed faculty, complemented by the most advanced technological and methodological tools. The video-conferencing facilities in Hetauda Community Eye Hospital facilitate real-time interaction. Goal: Establish Tilganga Institute of Ophthalmology as a world-class training institute for all level of ophthalmic human resources. Training has been key parts of TIO'S activities from Inception. An Academic and training department of the Tilganga Institute of Ophthalmology (TIO) which runs three major activities Academic, Short-term Modular and Exposure training for local and international medical personnel and eye health workers. Tilganga Institute of Ophthalmology is one of the leading eye care and training institute with well-equipped infrastructures for qualified ophthalmologists and allied health workers as it has been providing comprehensive eye care services throughout the country. 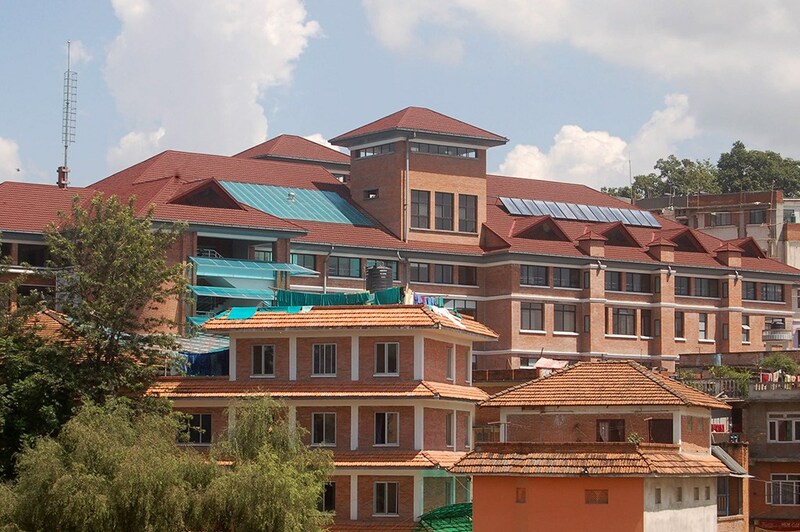 The Institute includes fully equipped examination room, operation theatre, investigation, and subspecialty clinics as well as well-equipped computerized Tilganga Zeiss Education Centre. The centre runs MD residency and certificates in Health Science Ophthalmology programs. The students of MD resident give presentations on different ophthalmic topics twice a week, participation in the presentation classes would re-boost the trainee's knowledge in diverse fields of ophthalmology. Apart from sole clinical knowledge, the trainees will have the chance to know about Intra Ocular Lens Laboratory and Eye Bank run by the Tilganga Institute of Ophthalmology. 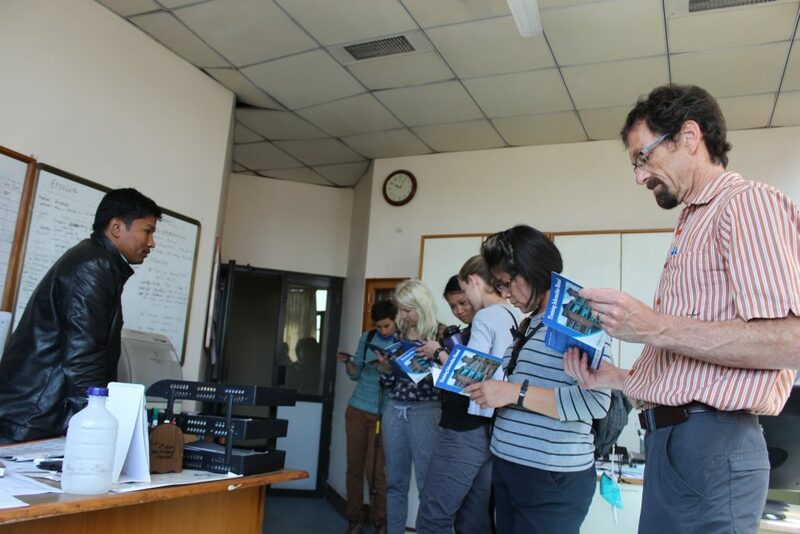 The Tilganga Institute of Ophthalmology library offers trainees sufficient books, Journals, and access of email and internet services.